What is Parkinson's? 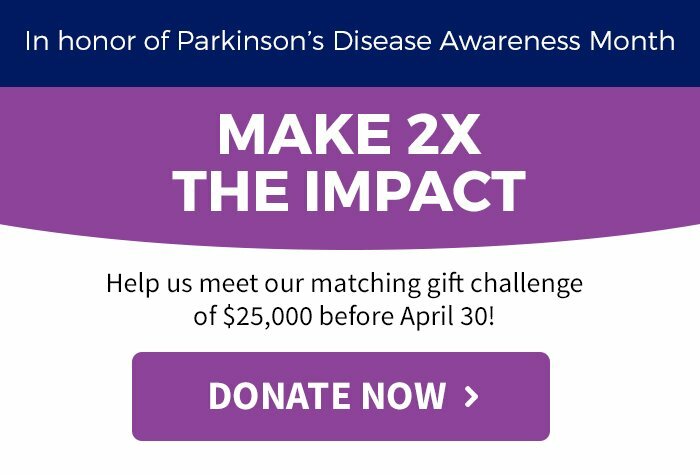 | American Parkinson Disease Assoc. So what exactly is Parkinson’s disease? Parkinson’s disease is a type of movement disorder that can affect the ability to perform common, daily activities. It is a chronic and progressive disease, meaning that the symptoms become worse over time. It is characterized by its most common of motor symptoms—tremors (a form of rhythmic shaking), stiffness or rigidity of the muscles, and slowness of movement (called bradykinesia)—but also manifests in non-motor symptoms including sleep problems, constipation, anxiety, depression, and fatigue, among others. Though it’s uncommon, Parkinson’s can also afflict young people. Learn more about Early Onset Parkinson’s here. There are an estimated 1 million Americans living with Parkinson’s disease and more than 10 million people worldwide. Most people who develop the symptoms of Parkinson’s disease do so sometime after the age of 50, but Parkinson’s disease can affect younger persons as well. Approximately 10% of Parkinson’s diagnoses occur before age 50—these diagnoses are called Early Onset (or Young Onset) Parkinson’s disease. In recent years, there has been tremendous growth in new diagnostic information, pharmacological and neurosurgical treatments for movement disorders, as well as a greater understanding of impaired motor control function. MDS offers you and your patients an essential link to this knowledge. What makes Parkinson’s disease distinctive from other movement disorders is that cell loss occurs in a very specific region of the brain called the substantia nigra (sub-STAN-she-uh NYE-gruh). The nerve cells, or neurons, in this region actually appear dark under a microscope (substantia nigra is Latin for “black substance”). Those dark neurons produce a specific type of neurotransmitter (a chemical messenger that allows neurons to communicate) called dopamine. The neurotransmitter dopamine helps to regulate movement. This loss of dopamine is the reason that many treatments for Parkinson’s Disease are intended to increase dopamine levels in the brain. Future research will hopefully tell us more about this protein. Learn more about APDA research initiatives here. In addition to decreases in dopamine and the cells that make dopamine, you might also read or hear about alpha-synuclein (AL-fa-sin-NUKE-lee-un). We do not yet know what this protein does in the healthy brain, but in Parkinson’s disease it clumps up in what are called Lewy (LOO-ee) bodies. Researchers believe that alphasynuclein build-up contributes to the cause of Parkinson’s disease and that it may be possible to develop new treatments based on this idea.